Well, since Pistol mentioned me in his testimonial, I guess I should also. I began following SLU basketball around '60. Bennington was the coach and resided in ST. Luke's parish, where my family also lived. The Nordmann brothers were the big draw although I thought even as a kid that Donnell Reid was even better than Cincinnati's Big O. My dad's company had season tickets to both the Hawks and SLU, so I saw many games at the old Kiel throughout my youth. John Smith, who went to McBride H.S. became a quick fave (my dad and brother went there and so did I, eventually). 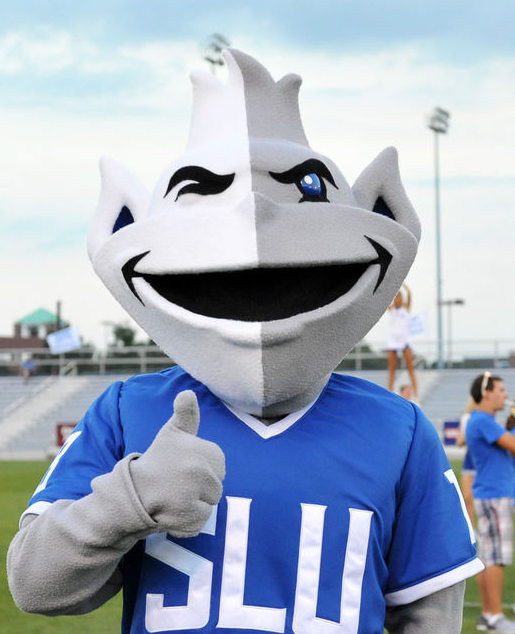 SLU's baseball coach "recruited" me for baseball (actually he just asked if I had committed to a college and when I said I was going to SLU he assured me a spot on the baseball team - took awhile to get some of the very minor scholarship money they had for baseball). Missed a total of two basketball games in my four years (and only one SLU hockey game) and have just continued to attend games ever since. It's only been since Chaifetz opened I actually have the tickets in my name, but I have lived and (mostly) died with this team for almost 60 years. I've kind of gotten accustomed to the lows of the program, but that just makes the highs (like winning four games in four days) so incredibly sweet! Gee, according to the talking heads at ESPN the game is already over with Va. Tech winning handily. C'mon Bills show the Hokies how to play D, then bury them! Whoa! Your personal grudges aside, the article is a very positive reflection on volunteer work being done by a SLU recruit. Why can't you accept that for what it is? Stupid autocorrect...obviously I mean Ingvi. Is he injured? He wasn’t at practice yesterday and he’s not at the pre-game warmup. Not at pre game warmup. What gives? Thanks for the clarification. I did receive an email early on which is when I ordered tickets, so maybe I quit looking for any advertising. I just hope there's a ton of blue there tonight. I haven't seen this evening's game advertised much lately. Me and six friends are going to be there, but I'm wondering if the general public knows about it. I hope there will be a ton of folks sporting the jersey tonight. And...how could they run out of sizes so early? I am assuming these can be made pretty quickly. As Mark Twain once said, "Get your facts first, and then you can distort them as much as you please." I guess the NCAA must have known about this quote when they came up with NET. Thanks guys. I'm trying to drop some pounds, but now I'm starving for some Guido's Pizza. I had an pleasant surprise at Mellow Mushroom, but I agree with most of you guys that the non chain shops are the best. Speaking of apparel, don't forget SLU night at the Cardinal game on August 30th vs. the Pirates. It is a theme night so you have to make sure your ticket includes the SLU jersey. It is not a typical giveaway where everybody gets one. There are six of us season ticket holders that sit together going that night. Hope to see you all in blue that night...along with your towels. +1 Class Act, Mickey. Best of luck to you. 89 I think SLU will have to prove it to the "experts"...plus, this is a pretty huge jump from where we finished last year. Best of wishes at Norfolk State, Jermaine. You deserved better. I hope you rule in the MEAC this year. And...if you guys happen to play Mizzou in the NCAA tournament, I hope history repeats itself.